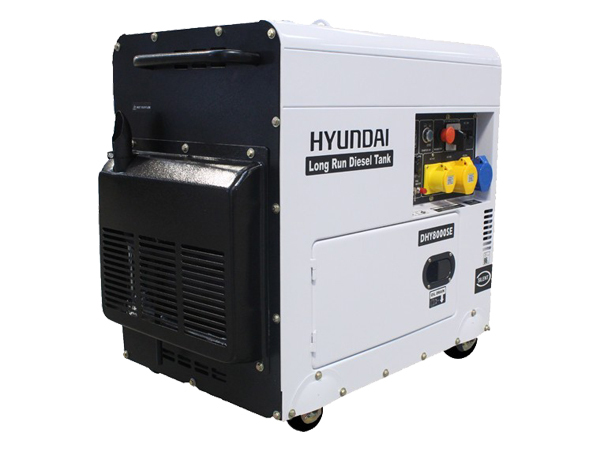 Powered by a 4-stroke, air-cooled D452 Hyundai diesel engine, the DHY8000SELR has a maximum output of 6kW. It features the same AVR alternator which produces clean energy. Although it won’t be able to run everything it allows more essential home items to continue running in the event of a power cut when the National Grid fails. The DHY8000SELR is also economical to run, using roughly 1L of diesel every hour. Since the DHY8000SELR can run on red diesel, which is significantly cheaper than the diesel you put into your car, you also save a lot of money there too. Fitted with an AVR (Automatic Voltage Regulator) controlled alternator to maintain voltage as near to 230v as possible. Non AVR alternators have a large fluctuation in voltage and can damage sensitive electronic equipment. If you require a portable generator to replicate the mains supply, it is recommended that a pure sine wave inverter generator is used.